When winter is finally over, it's the high time to throw open your windows and organize thorough spring cleaning to get rid of all the dust and clutter acquired all through. Your home may have picked up a lot of clutter, but do you have the time to do a thorough spring cleaning? Get a reliable junk removal company to help you out with spring cleaning services in South Bend IN. Hiring South Bend Junk Removal will make your cleaning job a breeze. We will send a crew for house cleaning, load your unwanted items into our disposal truck and haul it all away responsibly. You simply show our team what needs to be removed, and they'll lift and do all the work saving you a lot of stress and time. 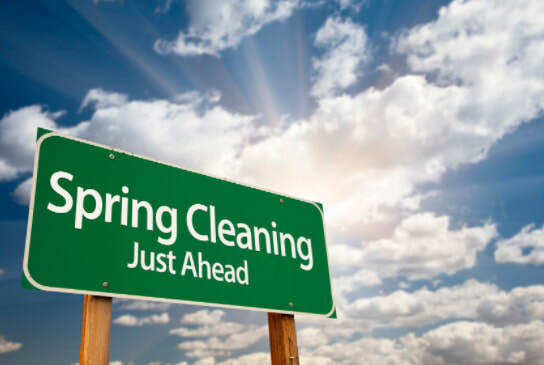 For starters, hiring a spring cleaning service is a huge time saver. Rather than spending hours or even days scrubbing, dusting, vacuuming, and wiping, you can get cleaning crew that will take care of it for you. You may even want to schedule your cleaning when you are not even home. Most homeowners prefer having their homes often cleaned when they're running errands or at work. Let South Bend Junk Removal professionals handle your spring cleaning, and you'll make the most of your free time. After all, with kids, work, and other things, we all need more hours in the day. You will rest assured that the cleaning service will be done expertly! As mentioned earlier, spring is always the best time to dispose of your waste, old furniture, construction material, appliances, old computers, electronics and other unwanted items. You can also talk to us for a special disposal of materials like tires, liquids, paints, and bulky items like concrete and roofing materials. Before calling a cleaning and removal service, you just need to make a spring cleaning list the things you want to be removed. Your spring cleaning will be achieved with one junk load and offer you the satisfaction of having a cleaned and organized home. At South Bend Junk Removal we will take all the hassle and stress of spring cleaning away from you. Do you have broken pieces of furniture? A heavy smelly fridge that you can't deal with? Let us handle it. Our professionals will take care of it all, from old furniture and appliances to garbage and yard waste. You already did the vital work. Hire someone for house cleaning services and junk removal take care of the dirty work. While there are people who rent trucks and haul their waste themselves, this is not always a wise decision. You will end up wasting a lot of time and paying the same amount as you would if you hired a junk removal service. Junk removal services can make your life simpler and help you clean out your home efficiently and safely. For home spring cleaning services and junk removal in South Bend IN, contact South Bend Junk Removal. Good luck and I hope your spring cleaning will un-clutter your home.